Bee Pest Control Sydney, Australia. Having trouble with some pesky bees? This is NOT a free service, but is very effective. Have you tried to locate an apiarist, bee catcher or bee-keeper quickly and failed? We charge $250 in most circumstances to kill, get rid of bees or remove the hive. For immediate safe treatment & fast action call me on 0417 251 911 or email Bruce at bruce@a1pestcontrol.com.au. There are a few ways to get rid of bees. These methods include bee nest or bee hive control, the use of chemical control and the use of professional service control with A1 Pest Control services. Gaining control of the nest yourself is a difficult thing to do for bees. First you must remove the bees themselves. Most of the time this can be done with the use of smoke. Physical removal or re-location of the bees nest is possible but there is a big chance of the bees nest either being destroyed or injured. Plus most apairists will not capture any feral bees. As a last resort, bee pest control using insecticidal sprays are effective in killing bees. There are many commercial quality sprays at most home and garden stores some supermarkets carry these products as well. Make sure that the label has bee pest control on it, and that you follow all the instructions and warnings as they are all registered products. Professional service, fumigation and pest exterminator services are required when bees have a nest that are in such extreme places like inside a home, inside insulation or overly high in a tree or in some hard places to reach. These services come with varied prices depending on the service you require so it is best to call around to find out which treatments are environmentally safe and what is used. Bees are beneficial insects to the eco-system, although mostly considered to be a pest because of their ability to injure by bee sting. They can become quite a problem in Spring and Summer when they may effect and disrupt many outdoor activities. Members of the public often call all of the stinging insects “bees” in error. Particularly wasps, which can sting you multiple times, so it’s best to correctly identify the stinging pest. While both wasps & bees live socially in colonies ruled by the respective queens & maintained by the workers, they will look & behave very differently. It is really important to identify correctly these insects, because many different methods may be needed to control them. 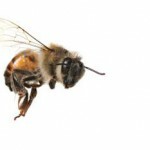 email Bruce at bruce@a1pestcontrol.com.au for an end to your problems and get safe bee pest control.